Sei in: Home / Blog & News / Archivio Eventi / Wellness, relax, sea and body healing. Wellness, relax, sea and body healing. 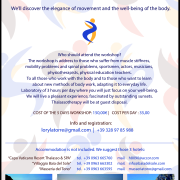 The harmony of the movement, a practical experiential laboratory in an excellent and wonderful Italian seaside, to arouse the freedom of breathing the flexibility and fluid movement trough body awareness. Perineal muscles, pressure, rotation and easy and unusual mothor paths. The elegance of movement and well-being of the body. 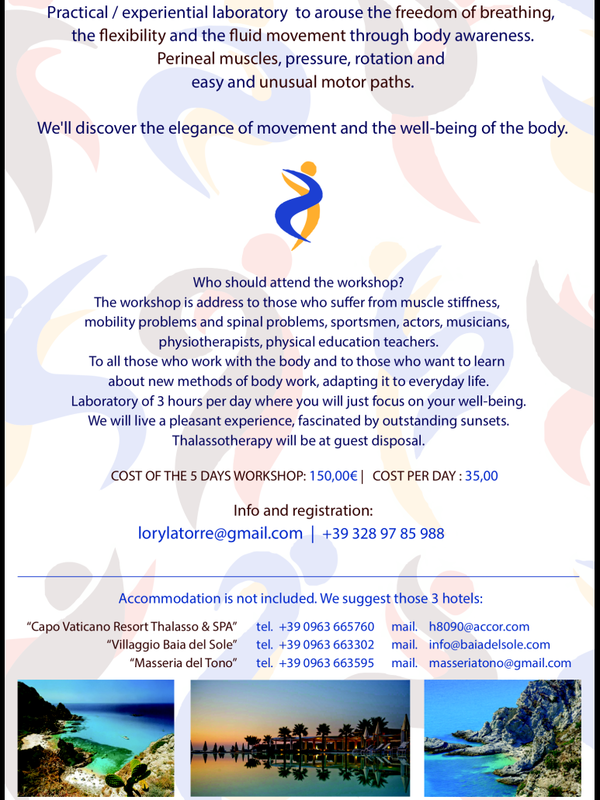 The workshop is address to those who suffer from muscle stiffness, mobility and spinal problems, sportsman, actors, musicians, physiotherapists, physical education teachers. 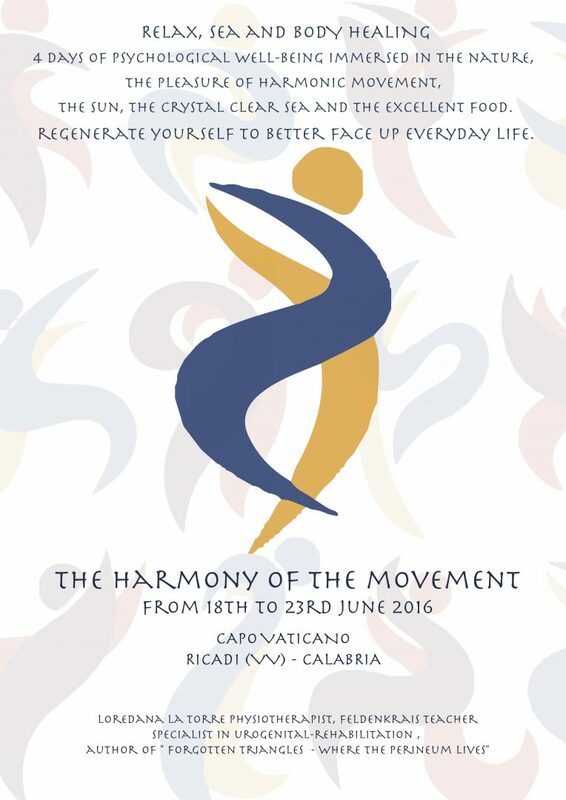 http://www.optimalia.it/wp-content/uploads/2016/06/IMG_8289.png 2048 1536 Loredana2015@ http://www.optimalia.it/wp-content/uploads/2015/04/logo_optimalia-e1430140100331.jpg Loredana2015@2016-06-08 11:26:232016-06-08 11:26:23Wellness, relax, sea and body healing. Seminario “L’armonia del movimento” Addominali senza rischio.